Around 40 people gathered for the Kirkwood school board meeting Monday night, the majority of whom attended for the public comment segment. At Kirkwood High School, we strive to create learning environments where every student feels safe, respected, and has the opportunity to grow and discover his/her unique contributions. Therefore, when one of our students feels offended by the behavior of a classmate or faculty member, we take it seriously and give it our most careful attention. On Thursday, October 6, two of our students were seen with a black charcoal substance smeared on their faces. Several classmates were offended by the similarity to “blackface,” a degrading form of entertainment. These classmates told an administrator who immediately went to find the students. One of the students later apologized, saying that was not their intention. It was subsequently reported by two students that a KHS staff member responded in an insensitive and threatening manner. Since then, the situation has been thoroughly investigated and reviewed. We were able to determine that one of the students was not present during the incident and additional student witnesses refuted the accusations of aggression. The school security video plus statements by eyewitnesses, including students and staff, substantiate the explanation given by the staff member. At no time did the staff member respond with physical aggression or show evidence of inappropriate or threatening behavior. We regret that this event was reported by news agencies before the investigation was completed. As the Principal of Kirkwood High School, I have the utmost respect for each person on our faculty and staff and appreciate the time, care and skill they bring to their work. Equally as important to me is the value and significance of every student entrusted to our care, no matter his or her race, gender or religion. As one community, we will continue to pursue conversations about racial discrimination and what we can do to seek better understanding, compassion and sensitivity for each other. Original story from Oct. 11: Some Kirkwood High School students and their parents continue to express outrage over a white student's apparent use of blackface last week. That frustration was apparent during a Kirkwood School Board meeting Monday, where about 40 concerned parents, students, and alumni packed the district’s offices. 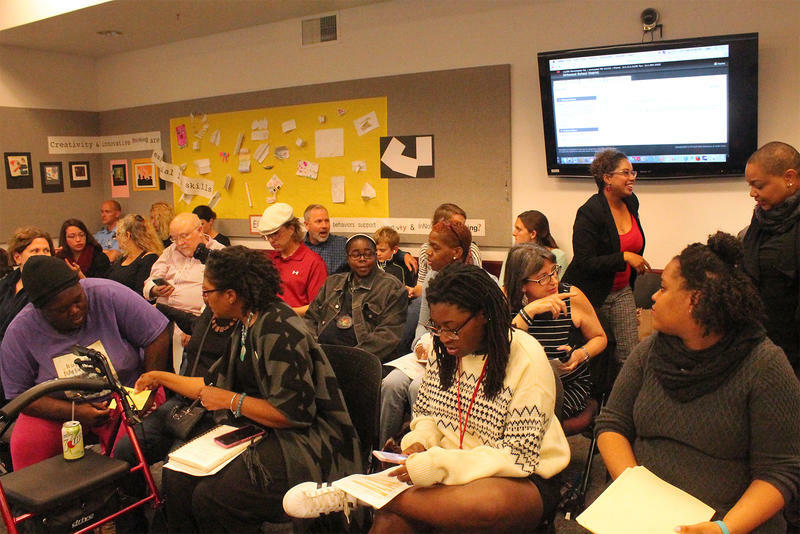 During public comments, eight people called on the board to enact a stronger response to the incident — and more administrative support for students of color. 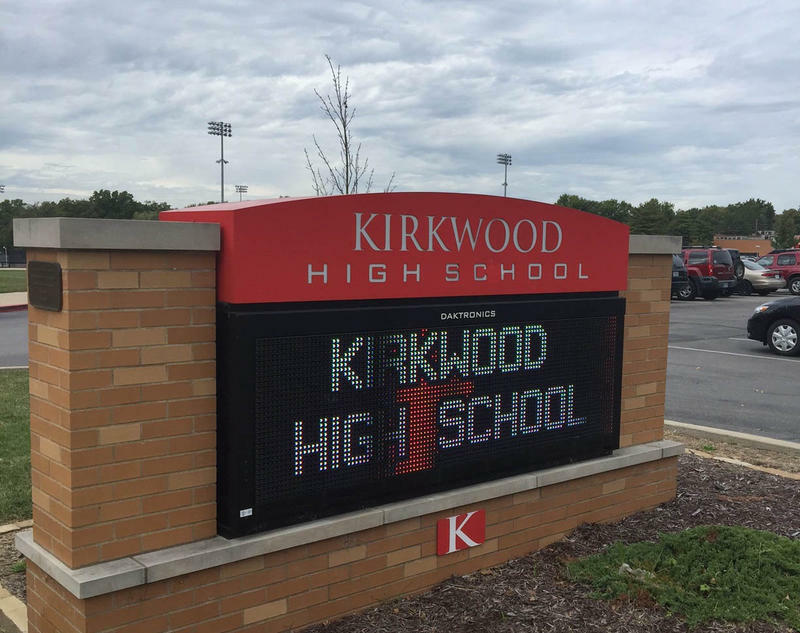 Black students told Kirkwood High School faculty Thursday that a white classmate had walked from chemistry class to lunch period with charcoal from an experiment smeared on his face. Principal Michael Havener later said the student was mimicking a beard. But the students who reported the incident said that the smears on his cheeks and forehead appeared to be blackface, a once-prevalent form of makeup used by white entertainers to negatively portray black people. Kirkwood parent, Teresa Parker, gave an impassioned speech about the racism and discrimination her children experienced at school. She closed out her statement saying "teach our children acceptance, teach them love." Smith said she was mostly happy with the way Havener handled the incident by the end of the day, but was disappointed by how faculty initially reacted. She said walking counselor Cindy Ricks responded to the black students' complaints by “slamming her hands on the table” where they were sitting, telling the young women to “calm down” and dismissing their concerns of racism on campus. Smith’s mother, Antona Brent Smith, called for Ricks’ termination. Ricks could not be reached for comment. Other speakers at Monday's meeting pressed the board to have the student who smudged charcoal on his face to issue a public apology. One recent Kirkwood alumni, Sydni Jackson, called for more thoughtful inclusions of black history in Kirkwood’s curriculums, and more anti-bias training for administrators and teachers. A number of white parents with students in Kirkwood schools stood up in support of Smith and her friends, and criticized the board’s silence on the incident and broader incidents of institutional racism on campus. One speaker, Dr. Koach Frazier, commended the students who spoke up about what they saw. He said institutional racism "lives and breathes" at the school. Kiden Smith (left) and Sydni Jackson (right) sit together before the start of the meeting, reveling in the large crowd of supporters. School Board members thanked the crowd for their comments, but did not say if they would act on any of the speakers' suggestions. On Tuesday, the district's chief communications officer, Ginger Cayce, released a statement from Superintendent Tom Williams. Smith had a mixed reaction to the School Board's response late Monday.